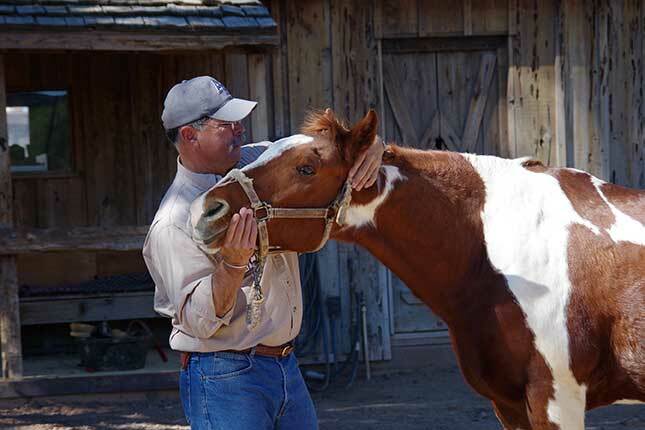 The Horse of the Month is nominated by our guests who have a special place in their heart for one of our horses. All are invited to vote – and you may place your vote in the Ballot Box at the Front Desk or e-mail us at info@whiteststallion.com. The winning horse will receive a therapeutic massage and chiropractic adjustment, a bath and a “Carrot Cake” treat of grain and carrots. Scooter frequently wins Horse of the Month because he’s very popular with our beginner and intermediate riders. He is a sorrel and white paint gelding, with a blaze and 4 white stockings. He has the friendliest personality and always seems so happy to see you. Scooter stands 14.2 hands and weighs about 1,000 lbs. He was raised in Idaho to be a rodeo horse, but by age 3, he just didn’t have the size or speed to compete at a high level, so his owner brought him to Tucson and sold him to us.